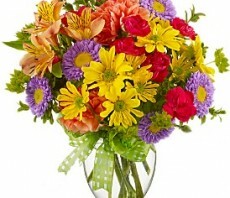 Autumn Splendor® Bouquet brings together texture and bold coloring to create a sophisticated flower bouquet set to send your warmest wishes to friends and family this harvest season. 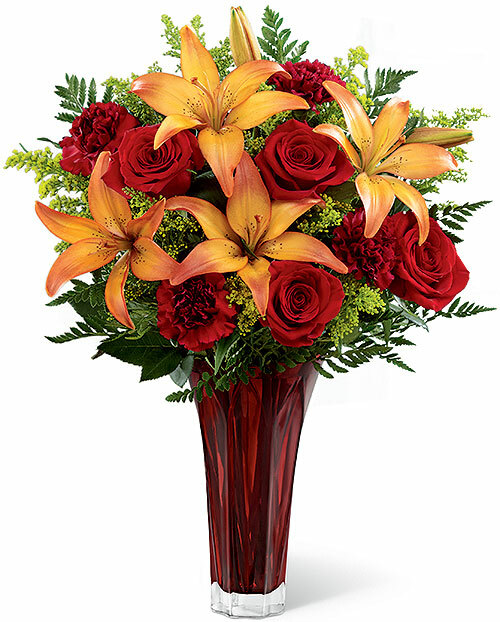 Brilliant red roses, burgundy carnations, orange Asiatic lilies, sunlit yellow solidago, and fresh, lush greens are brought together to give them a flower arrangement blooming with unforgettable style and beauty. 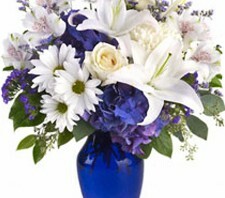 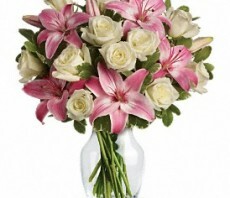 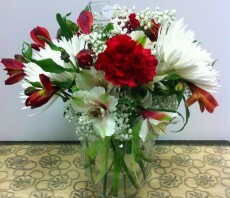 Presented in a designer chestnut-hued flared glass vase boasting a modern appeal, this mixed flower bouquet will make an incredible gift for a fall birthday, to add to their Thanksgiving celebration, or as a way to express your thanks and gratitude. 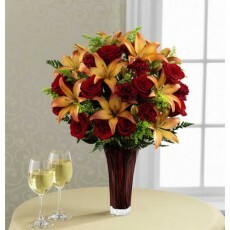 Autumn Splendor Bouquet brings together texture and bold coloring to create a sophisticated flower bouquet set to send your warmest wishes to friends and family this harvest season. 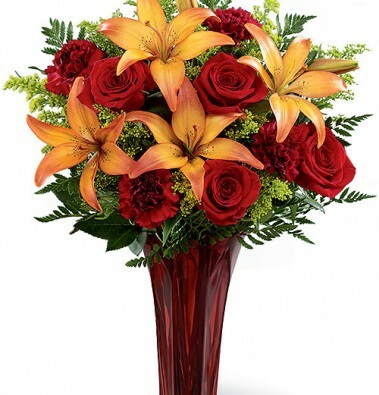 Brilliant red roses, burgundy carnations, orange Asiatic lilies, sunlit yellow solidago, and fresh, lush greens are brought together to give them a flower arrangement blooming with unforgettable style and beauty. 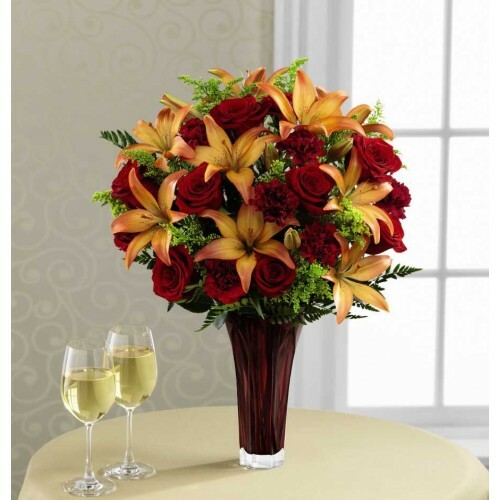 Presented in a designer chestnut-hued flared glass vase boasting a modern appeal, this mixed flower bouquet will make an incredible gift for a fall birthday, to add to their Thanksgiving celebration, or as a way to express your thanks and gratitude.